The Institute for Veterans and Military Families at Syracuse University (IVMF), the colleges and universities of the Entrepreneurship Bootcamp for Veterans with Disabilities (EBV) National Consortium, the EBV Foundation and corporate partners host the second annual EBV National Training and Alumni Conference Oct. 19-21 in Denver, Colo.
Paul Washington, director of the Denver Office of Economic Development (OED), will take part in the EBV National Training and Alumni Conference opening ceremony on Friday, Oct. 19, beginning at 7 p.m. Washington leads the OED, which is dedicated to advancing economic prosperity for the City of Denver, its businesses, neighborhoods and residents. 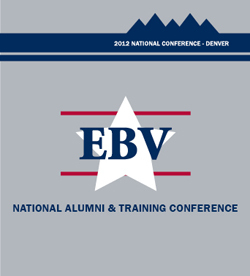 In addition, several Denver-area residents are lending their expertise to the conference as panelists and instructors. They include Rick Barnes, chairman emeritus and honorary publisher of the Denver VOICE; Rachel Davis, fellow at Kiva; Michael Fahndrich, managing director of the Denver office of CBIZ MHM, LLC and shareholder of Mayer Hoffman McCann P.C. ; Catherine Henry, executive director of Work Options for Women (WOW); and Mark Hopkins, founder and managing partner of Crescendo Capital Partners.